In todays guide, I’ve explained all of the essentials on online shopping on eBay in Romania in 2019. Shopping, shipping, versions, etc. — now available in English! 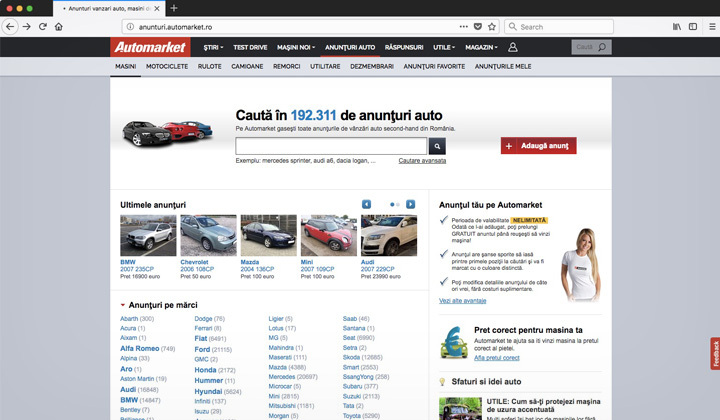 For Romanian shoppers and auctioneers, the “global version of eBay” is officially recommended. It automatically calculates shipping costs and gives out relative search results. In this post I’ll also explain tips to get it working for your needs. I’ve also mentioned some viable alternatives below, however eBay itself remains one of the most popular seller portals for used and new items in the country. Despite lack of support for Romanian leu, you can browse through Romanian eBay sellers, compare pricing, get affordable shipping, etc. Here’s how in English. For quick delivery and the cheapest delivery pricing, it’s worth checking out availability and cost amongst the many local eBay sellers. Step 1. 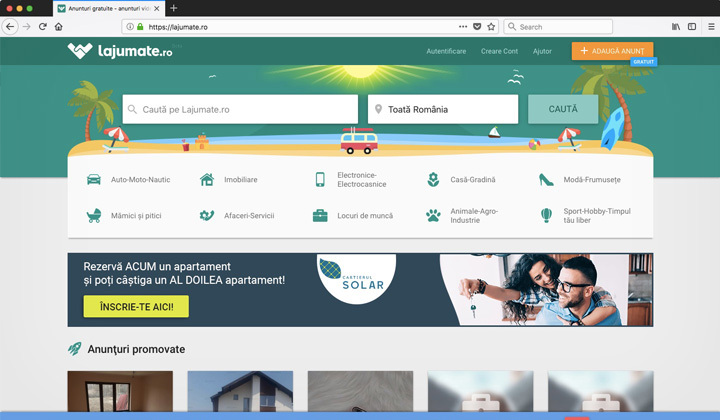 Open up the advanced search on Romanian eBay. Step 2. Towards the bottom of that page, look for “Located in” settings. Step 3. Scroll through the list of countries and select “Romania”. Step 4. Do a search for your items amongst local sellers only. Shopping amongst eBay sellers from Asia, Europe, etc. You can further fine tune searches, for custom tax free shopping in Europe, or it’s equally popular to purchase from Asian sellers with affordable pricing. Step 1. Open up the global eBay site in Romania. Step 2. Do a search on what ever it is you are looking for. Step 3. To your left, there are options where you can set the “Item Location” quickly to broader regions such as Europe and Asia. Step 4. Current and future searches will be narrowed down to that region. 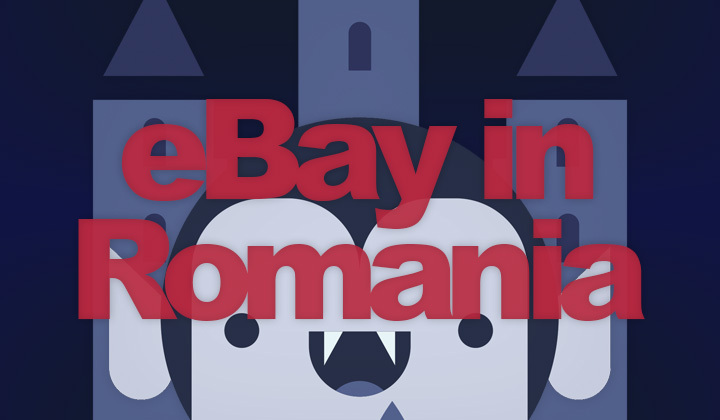 First and foremost, eBay is a global market place and most items can be shipped to Romania with varying delivery methods. This depends on the seller, and range is from basic mail services to ultra fast courier services. Good things is, that once you are on the right version of eBay for Romania it will be able to automatically calculate & estimate shipping costs. This is done by detecting the location of your internet service provider. So for those who are located outside of the country, you will need to sparely change account settings to make sure that eBay understands you are buying the item so that it should be sent to an address in Romania. 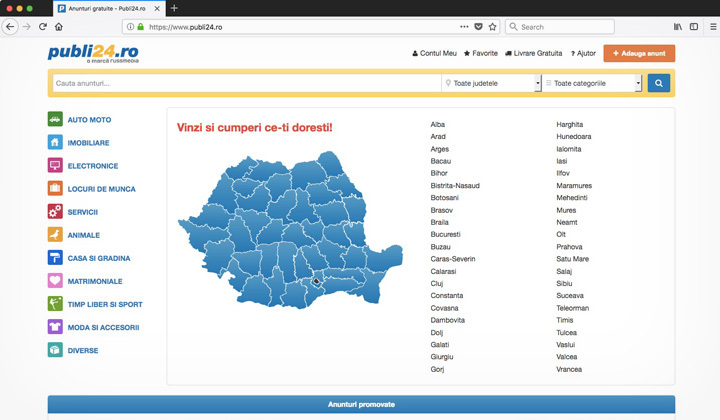 Weather you are in Bucharest, Cluj-Napoca, Timișoara, Iași, Constanța, Craiova, Brașov, Galați, Ploiești or Oradea, eBay delivers pretty much anywhere. With the convenience of an English interface, not possible with other similar sites. 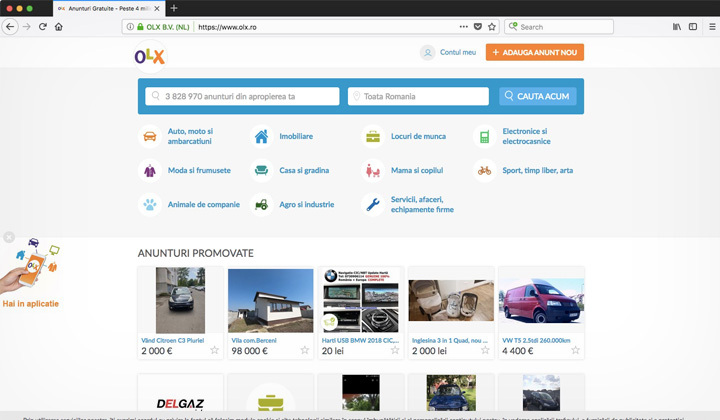 The eBay marketplace also acts as an intermediate for foreigners, and international sellers wishing to enter the online shopping market in Romania. They offer not just a method for that in English but also an extensive and popular global shipping program, It’s intended to make global e-commerce easy. There are several alternative websites in the country, and although similar, most of them are pretty basic, and for classified ad listings only. This is a free classifieds site that operates in globally in more than 45 countries, on the Romanian site they have about 4 million ads. Beyond regular listings, they feature a “verified Delivery” service where the seller gets paid only after the buyer has received and verified the goods. Use is optional. Categories are; Auto & Boats, Real Estate, Jobs, Electronics & Appliances, Fashion & Beauty, House & Garden, Mother & Child, Sports, Leisure, Art, Pets. 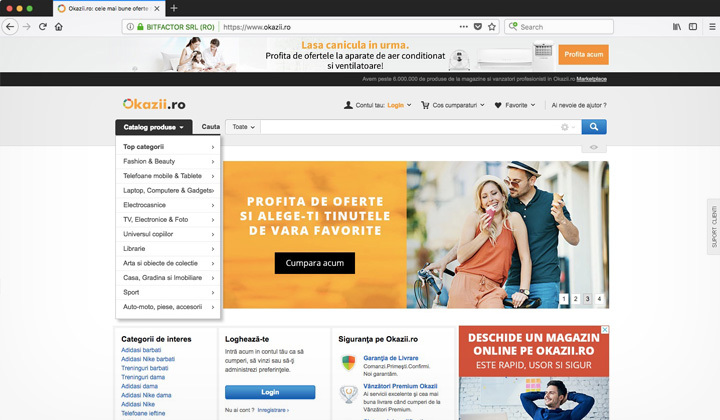 Going by the slogan is “buy and sell online” (cumperi si vinzi online), Okazii is one of the main e-commerce websites in Romania, founded in 2000. The seller feature was introduced in 2008. This is the closest to an eBay equivalent. Online shopping categories; Fashion & Beauty, Mobile Phones & Tables, Laptops & Computers, Appliances, TV & Electronics, Children Universe, Bookstore, Art & Collectibles, House & Garden, Sports, Auto & Parts. Newer classified ads site with free listing for every category. This is a very old classified ads site in Romania, started in newspaper form in 1990. The website started in 1996. It’s known for It’s popular with real estate ads, jobs, services offers and used car sales.But also features other categories for used items. Top sections are; Real estate sales, Real estate rentals, Jobs, Auto, Services, Fashion & Beauty, Electronics, Dating, House & Garden, Business & Various. 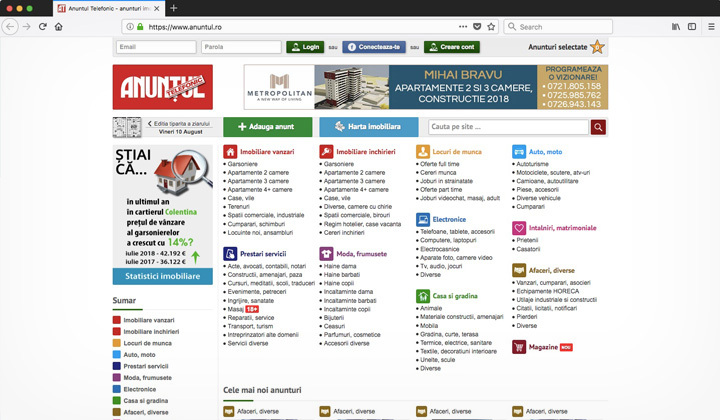 This is yet another free classified ads website, where it’s easy to sort listings by different counties in Romania. Bucharest, Iași, Prahova, Cluj, etc. The sections are; Cars, Real Estate, Electronics, Jobs, Services, Animals, House & Garden, Dating, Free time & Sports, Fashion & Accessories, Miscellaneous. This classifieds site is only for used car sales. Hosting hundreds of thousands of car sale ads for Volkswagen, Audi, Opel, Daewoo, etc. Unfortunately there are no equivalents, or similar sites to eBay that support the English language. For this, likely your best option is the global version of eBay. And that concludes my post on using and shopping on eBay in Romania. Any questions about the local e-commerce scene welcome. Let’s hear your suggestions for alternative eBay like websites below! My most humble thank for your visit, David. Please be notified of the fact that sometimes these guides, and other posts contain affiliate links which support the blog. It is to keep me going, trying to promote information in mutual benefit form. Cheers my friends!